One of the trends I am following constantly on my blog is the simplification. PLM is very complex and still way too expensive. However, I can see multiple evidence of changes that happen around us. Open source and IT consumerization are two interesting strategies. Normally, I’m not reading press releases. In modern social Web 2.0 environment, press releases are like dinosaurs. Even so, the following press release, made me stop for scrolling down my browser – Formtek Announces Enhanced Engineering Data Management Solution for Alfresco®, Including New EDM Connector for AutoCAD®. I’m following Alfresco for a couple of years now. In a nutshell, you can hear about Alfresco as an open source alternative for SharePoint. Dig a bit into Alfresco website – you will find the evidence of Web 2.0 DNA. 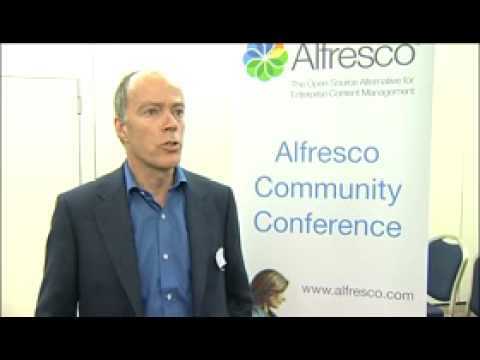 The following interview with Alfresco CEO John Powel explains about what problems in content management Alfresco is pretending to solve – content complexity, solution cost, deployment complexity. AutoCAD content is widely available everywhere. You can hardly find a company that has no AutoCAD drawing. Therefore, to expand the content management solution to AutoCAD content is an interesting move. Microsoft and SharePoint made few steps to develop better connectivity to AutoCAD. Autodesk Vault has some modules and functionality to publish the content to SharePoint. However, publishing is complicated. It is so 95…. I’m going to learn more about Alfresco AutoCAD interface on June 8. Navigate to the following link to watch the webinar. Formtek will demonstrate its new EDM Connector for AutoCAD®. The Formtek EDM Connector for AutoCAD provides access to Alfresco repository functionality – including browse, open, check-in, check-out, and view/edit metadata functionality – directly from within the AutoCAD application. The Connector also maintains the integrity of AutoCAD referenced drawings (XREFS), as well as other types of referenced files (DGN, PDF, raster, etc. ), by automatically associating them to the current AutoCAD drawing within the Alfresco repository. Freebie unlike most of the press releases.